Homeowners everywhere are rejoicing over the new warmer weather and longer days. It means more time outdoors, more time for projects, and more time to spend with your family. It also means it’s time to de-winterize your home and check for any potential problems that have occurred during the last few months of extreme temperatures and storms. De-winterizing your home is as simple as going around to each area of your house and property to make sure your plumbing is in working order. You should turn things on and turn them off and look for signs of damage, such as leaks, burst pipes, and broken appliances. A little maintenance now can save you a lot of money and headache in the future. 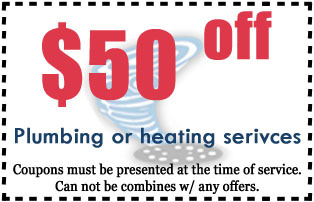 Don’t wait until the weather gets hot to take care of your plumbing problems! Since 1999, Beacon Plumbing has been a household name. We have grown quite the reputation for having a fun attitude about plumbing, but we are also highly professional. We hire only the very best and maintain a great crew of 65 full time plumbing and heating technicians. All of our plumbers are licensed, bonded, and insured, as well as pre-screened thoroughly before employment. We take these extra measures to make sure the person we are sending to your home or business is reliable, trustworthy, and good at their job. When you call Beacon Plumbing you can expect to have the job done right the first time around. For more information regarding your Seattle plumbing check-up and any other plumbing services that you need, call us at 206.452.3130. You can also view our website by going to www.beaconplumbing.net. Our team looks forward to speaking with you! The Beacon Plumbing and Heating website was built by this Seattle area Web Developer iLocal, Inc. If you are a homeowner then it is important to perform a Tacoma plumbingcheck-up each spring season. The reason for this is that your pipes have sat all winter-sometimes through extreme weather-and will now need to be checked for any repairs that need to be made before they are put to regular use again. Performing a basic Tacoma plumbing check-up is simple and doesn’t take long, however, if you don’t want to perform the check-up yourself you can always hire Beacon Plumbing to do it for you. Beacon Plumbing is the premier Tacoma plumbing company and has built a very good reputation around the Puget Sound for being friendly, professional, and affordable. A little maintenance at the start of the spring season will mean a lot less work later on. If you have anything that needs repair now, it is best to get it done before it becomes an even bigger issue in the summer. For more information regarding your Tacoma plumbing check-up, or any of our other services, call 253.655.4599. You can also visit our website at www.beaconplumbing.net. Our team is excited to find out how we can help to de-winterize your home and get you ready for the warm seasons! Beacon Plumbing is the Puget Sound’s go-to provider of Olympia air conditioning. Not only do we offer affordable air conditioning services, but our team is highly qualified, enthusiastic, and friendly. Having to get an air conditioning unit installed or repair can seem like a time consuming and expensive project, but with our technicians on the job it is a breeze. The spring season has just started and temperatures are only going to keep rising. If you aren’t a fan of heat indoors then give us a call and we will come to your home or business before you get desperate for relief! Hot indoor air can cause a variety of issues, including increased headaches, trouble sleeping, frustration, pet sickness, and harm to your plants. It is also uncomfortable for you, your family, and your guests. By getting an air conditioning unit installed you will be able to stay comfortable throughout the entire spring and summer season. For more information on our air conditioning services and how to schedule an appointment, give us a call or check out our website at www.beaconplumbing.net. All of our plumbing technicians are licensed, bonded, and insured, as well as pre-screened throughout before employment. We take extra measures to ensure that the person we send to your home or business in professional, qualified, and trustworthy. Our amazing plumbing technicians have helped build up our reputation. Since 1999, we have grown from a small locally owned business and are now the premier, g0-to Puget Sound plumbing and heating company. To find more information about Beacon Plumbing and our Olympia air conditioning services, visit our website by going to www.beaconplumbing.net. You can also speak with one of our office staff members by dialing 360.515.7075. Are you a fan of the warmer weather that Washington has been getting? If you are, then you are probably loving the longer days and increased sunshine that has many Kent residents spending their free time outdoors. However, as much as you love the warm weather, chances are you don’t like the heat indoors. Hot indoor air can be a big problem for many this time of year. Increased heat can cause all sorts of issues, from headaches to trouble sleeping at night. If you are uncomfortable due to the temperature inside of your home then it is time to call Beacon Plumbing. Beacon Plumbing offers complete Kent air conditioning services. At Beacon Plumbing, we staff only the very best air conditioning technicians. Our technicians are capable of installing a new unit for your home or business OR repairing the unit you already have. Give us a call today to discuss getting a technician out to your home or business before the temperatures get even warmer! For a full list of our plumbing services, visit our website. We offer same day and emergency plumbing to our residential and commercial customers that need our help immediately. We can generally dispatch a plumbing technician within 90 minutes of your phone call so don’t hesitate to get ahold of us when you are ankle deep in an overflowing toilet or worse. To find more information about Beacon Plumbing and our fantastic Kent air conditioning services, visit our website by going to www.beaconplumbing.net. You can also speak with one of our office staff members by dialing 253.220.6100. For Seattle Air Conditioning Call Beacon Plumbing! Spring has begun and the temperatures are quickly rising. Seattle residents are quickly taking advantage of the increased temperatures by spending more time outdoors, opening their windows, and taking long strolls in sandals as opposed to trudging through the mud and muck in boots. Spring can be a great time of year in which natural beauty is the focus, however, if you do not have proper Seattle air conditioning, spring can be the beginning of your downward spiral into heat induced exhaustion and frustration. Residences and businesses can reach high temperatures during this time of year. In order to function properly and comfortably you need to have a high quality Seattle air conditioning unit installed in your home and/or business. Luckily, Beacon Plumbing offers fast, affordable, and efficient Seattle air conditioning service. You may recognize Beacon from our fantastic reputation as the go-to Seattle plumbing company. Not only are we locally owned and operated, but we maintain a staff of 65 full time employees who are qualified and enthusiastic, making our popularity a no-brainer. To find more information about Beacon Plumbing and our complete Seattle air conditioning services, visit our website by going to www.beaconplumbing.net. You can also speak with one of our office staff members by dialing 206.452.3130. We look forward to speaking with you in regards to your air conditioning needs! Our website was designed and built by iLocal, Inc., a Seattle web design company that also specializes in online business marketing, content, and search engine optimization. Have you noticed the sunshine lately? If you have, then chances are you’ve also noticed that temperatures are rising. Tacoma residents are welcoming the nice weather and will soon be keeping their windows open daily, wearing sandals, and spending more time outdoors. For some, the nice weather can cause unnecessary stress. That is, the nice weather can create an overly hot home environment if there is no proper Tacoma air conditioning. Indoor heat can be more than just a minor annoyance; it can cause stress, sickness, frustration, and trouble for your plants and other household items. Luckily, there is an easy solution for Tacoma residents who are dealing with the excess heat that comes with increased sun exposure. Beacon Plumbing is a plumbing company that offers extremely affordable and high quality Tacoma air conditioning services. Call their office for fast and reliable service. Their team can answer any and all questions you may have regarding the best type of air conditioning unit for your home or business. Beacon Plumbing is a licensed, bonded and insured Tacoma area Air Conditioning Company company. Since starting in 1999, our plumbing and heating technicians have successfully installed thousands of air conditioning units in Tacoma. We care about our residential and commercial customers and strive to quickly and effectively improve their quality of life by making their living and work environments more comfortable. To find more information about Beacon Plumbing and our fantastic team of Tacoma air conditioning services, visit our website by going to www.beaconplumbing.net. You can also speak with one of our office staff members by dialing 253.655.4599. Get Garbage Disposal Repair in Tacoma! Does your kitchen feature a garbage disposal? If it does, then chances are you are familiar with the quirks of your garbage disposal, including its need for maintenance and the occasional repair. Garbage disposals are great for chopping up scraps and other unwanted food items, but many times an unwanted item will accidentally end up in the disposal. If this happens, it may go unnoticed until you realize your garbage disposal isn’t working as it should. Whatever the case, if you are having issues with your garbage disposal chances are you will need garbage disposal repair in Tacoma. Beacon Plumbing is the number one plumbing and heating company in the Puget Sound. We offer a wide variety of services at an affordable rate. In addition, our employees are the best in the business. They are all licensed, bonded, insured, and thoroughly pre-screened before employment. Whether you need a simple maintenance check on your garbage disposal or a full-on repair service, we can help. If you have committed to a kitchen remodel in Tacoma and would like to replace your garbage disposal, call us. We have a team of highly experienced kitchen remodel experts that can install the best garbage disposal for your sink. In addition to garbage disposal repair and installation, we offer many services aimed at improving your kitchens function and aesthetic appeal. In addition to complete residential plumbing, Beacon Plumbing technicians can provide commercial plumbing to any Puget Sound business. We routinely service large corporations and small business all throughout the Seattle area. Our garbage disposal repair and installation service is particularly helpful for restaurant and cafe owners in Tacoma. Get Household Plumbing in Seattle! Do you need household plumbing in Seattle? If you do, then you have probably started doing a little online research to find plumbing providers in your area. It’s tough to choose. After all, how will you know if the plumbing service you hire is going to take care of business? At Beacon Plumbing, we are used to hearing the horror stories that customers have of their previous plumbing experiences. For us, great customer service, affordable pricing, and a high quality work is a no-brainer. Since starting in 1999 we have quickly grown to be the most wide spread and popular provider of household plumbing in Seattle and all over the Puget Sound! We owe our success to our fantastic customers and our one-of-a-kind plumbing technicians. We maintain a staff of 65 full time employees, all of who are licensed, bonded, and insured. They are also pre-screened thoroughly before employment to ensure you are getting the best plumbing technicians available. In addition to basic household plumbing in Seattle, which includes drain repair and sewer repair, we offer bathroom remodeling and kitchen remodeling services. Bathroom remodeling is a fun, but daunting task! If you feel as though you may be in over your head, call us. We are more than happy to sit down with you and discuss your bathroom remodel goals. Together, we can design and build your dream bathroom. Our talented plumbing technicians can also provide services to help your kitchen remodel in Seattle become a smashing success. Taking on a kitchen remodel may be necessary if you are seeking more space or want something more stylish for you and your family. Whatever the case, Beacon’s helpful and qualified team of technicians can help. To find more information about Beacon Plumbing and our household plumbing in Seattle, visit our website by going to www.beaconplumbing.net. You can also speak with one of our office staff members by dialing 206.452.3130. Our website was designed and built by iLocal, Inc., a Seattle web design company that also specializes in online business marketing, content, logo design, and search engine optimization. Are you a property owner or property manager in downtown Tacoma? If so, then you are probably familiar with your buildings plumbing and any potential problems that may arise occasionally. Hiring a plumber to provide maintenance plumbing and emergency plumbing is not only necessary for your building, but it will also keep your tenants happy and give them confidence in your ability to take care of business when it counts. Beacon Plumbing offers fast, reliable, and affordable tenant improvement plumbing in downtown Tacoma. At Beacon Plumbing, we have the experience necessary to provide a wide variety of services. We pride ourselves on having provided these services to many Tacoma establishments, including churches, schools, hotels, office buildings, retail office space, commercial office space, grocery stores, and much more. Our tenant improvement plumbing in downtown Tacoma is especially helpful for apartment managers who are seeking a qualified and friendly plumber that they can trust to do a good job. Often times, a plumber must enter a residents unit when they are not home. This can cause a lot of anxiety for the resident unless the apartment manager can assure them that the plumbing company is both professional and trustworthy, as well as licensed, bonded, and insured. Plumbing isn’t the only service we offer to our property managers and property owners in Tacoma. To find more information about Beacon Plumbing and our tenant improvement plumbing in downtown Tacoma, visit our website by going to www.beaconplumbing.net. You can also speak with one of our office staff members by dialing 253.655.4599. Beacon offers service to Seattle, Tacoma, Olympia, Bellevue, Renton, and several other Puget Sound communities. Our website was designed and built by iLocal, Inc., a Seattle web design company that also specializes in complete website design, content, search engine optimization, and logo design. Get Commercial Plumbing in Olympia! Are you an Olympia business owner? Beacon Plumbing and Heating may be best known for their full service plumbing, but we also offer full service commercial heating in Olympia. Spring is just around the corner, which means you are finally turning off all of your heating units. Keeping your furnace healthy for next year is not a bad idea considering most homeowners wait and are forced to deal with it after the winter has set in. You can hire Beacon to do a quick check on your furnace and make any repairs necessary to ensure you can squeeze out every last year from your heating unit. If you need help with your commercial plumbing or heating, give us a call at 360.515.7075. We can’t wait to hear from you! For more information, visit our website at www.beaconplumbing.net. You can find information on our service areas, services, staff, and hours. The Beacon Plumbing and Plumbing website was designed an built by iLocal, Inc., a Seattle web design company that specializes in complete website design, logo design, content, and search engine optimization.